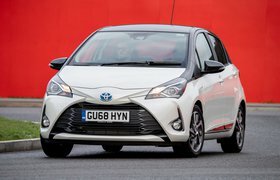 2019 Toyota Yaris Y20 & GR Sport Hybrid review - gallery, price, specs and release date | What Car? 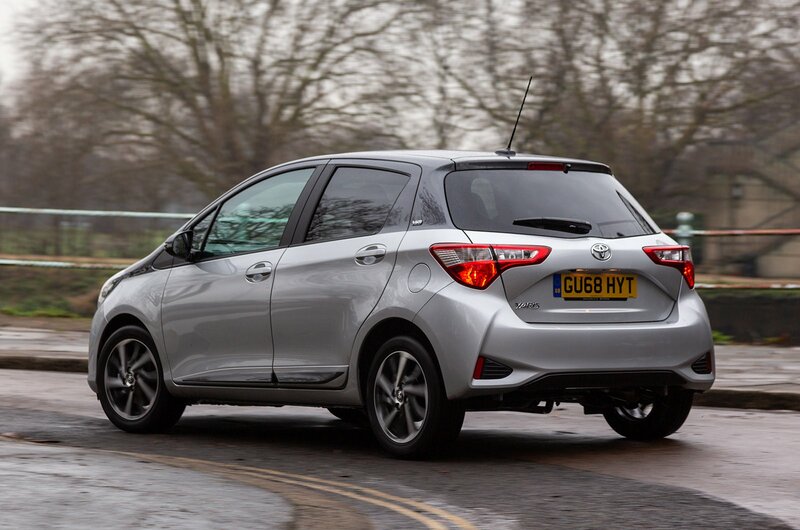 The Toyota Yaris Y20 special edition is available with the 109bhp 1.5-litre petrol engine – with a manual or automatic gearbox – or the 98bhp 1.5-litre hybrid set-up, which should result in significantly lower running costs, especially if you do a lot of town driving. 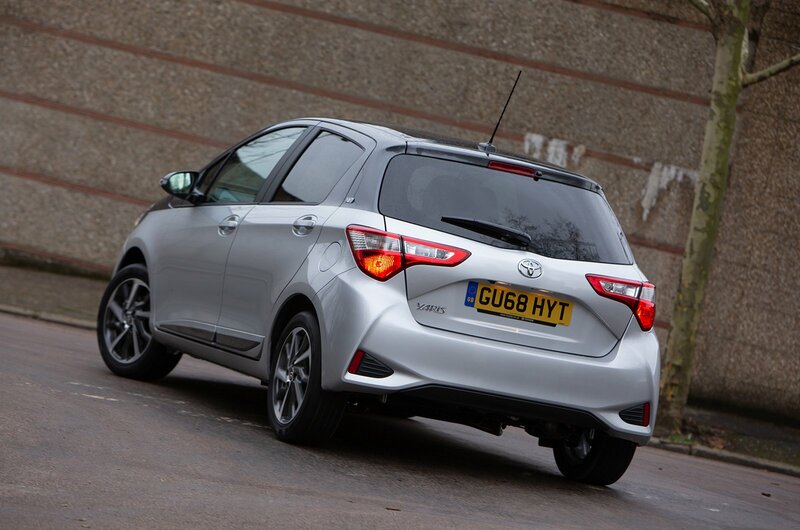 The Y20 is a pretty standard Yaris under the glamour, which means the petrol engines manage well around town but sound embarrassingly strained at anything over 2500rpm. All iterations need working hard to get up to motorway speeds and there are plenty of hills that will make the speedo needle sink. The regular petrol model naturally has higher CO2 emissions and worse fuel economy than the hybrid, although it's no gas-guzzler. While the economy of the latter isn't amazing at motorway speeds, it really comes into its element around town. 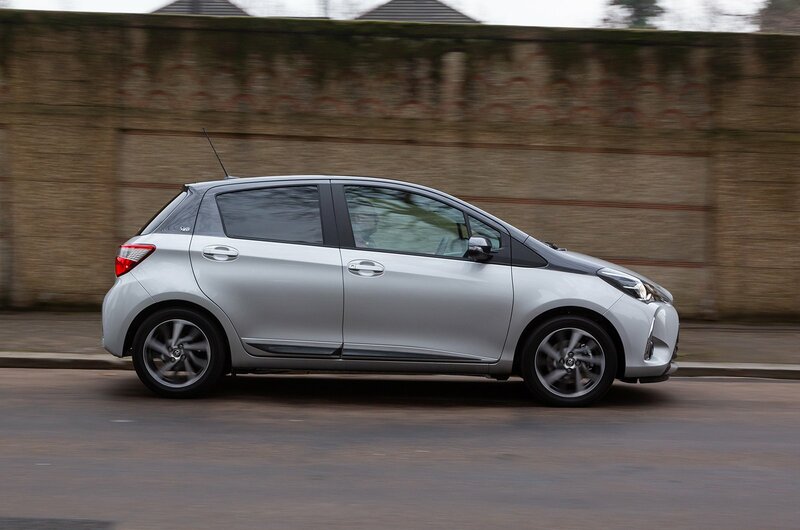 Indeed, it's the most efficient car we've ever tested on our urban True MPG cycle, managing a staggering 80mpg. 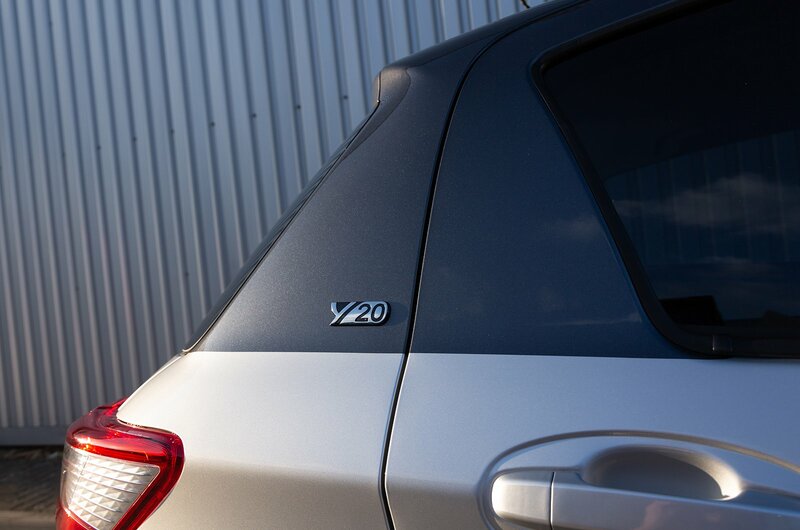 The Y20 comes with a contrasting dark grey roof, 16in grey alloy wheels and a grey grille, plus grey door mirror casings and side mouldings. There are also rear tinted windows and Y20 badging on the rear pillars. You can also have silver, white and black, with the same contrasting roof and bodywork. 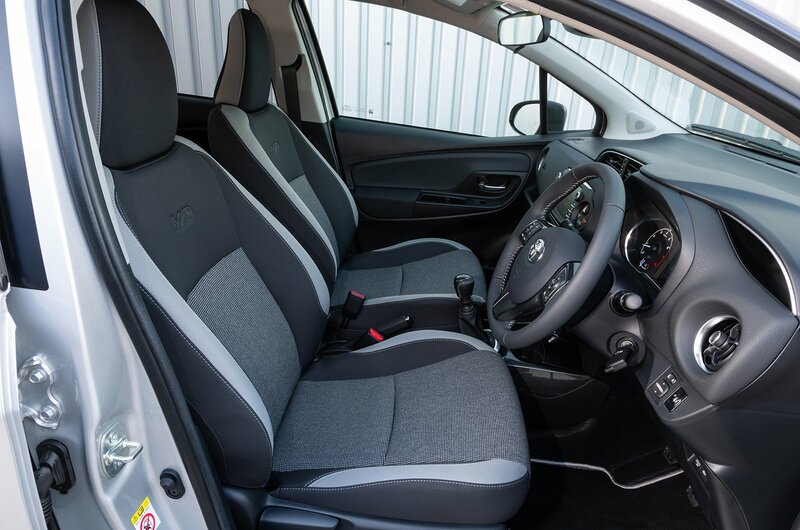 Inside, the dark grey theme continues, with added steering wheel inserts and check fabric upholstery. There are also chrome highlights around the air vents and speakers, plus more Y20 badging on the seatbacks and instrument panel. 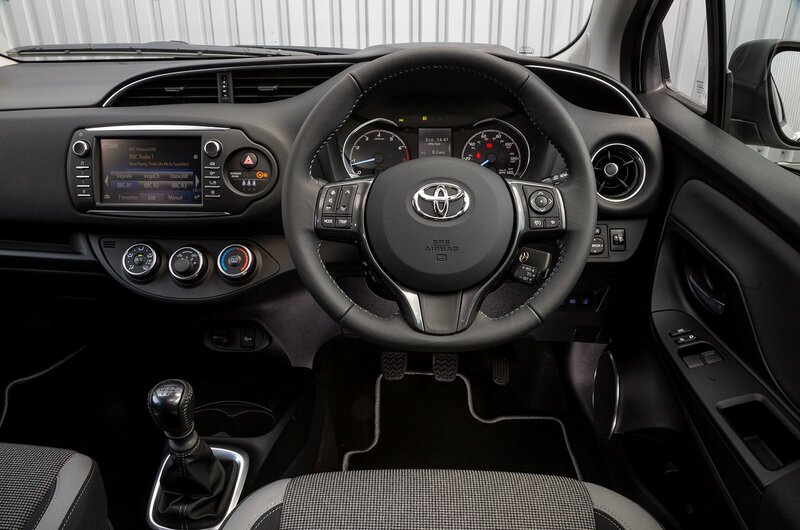 The Y20 also features the Toyota Touch 2 infotainment system with an 8.0in touchscreen. 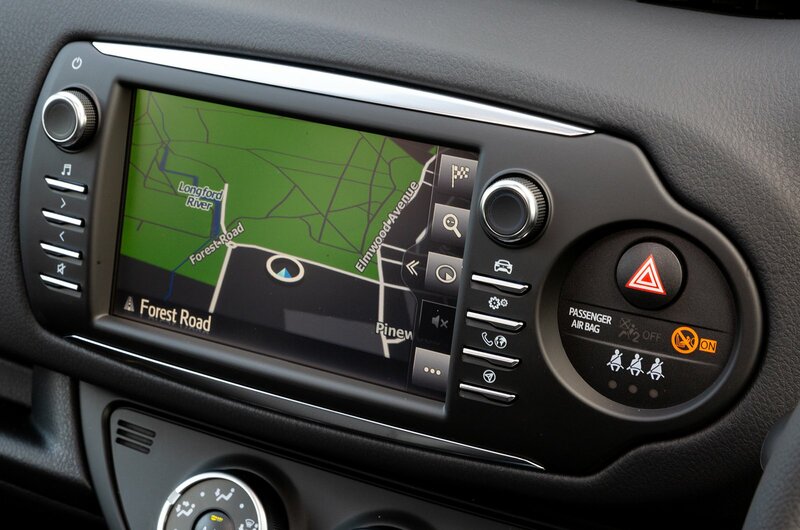 This includes smartphone integration - although not the branded Apple CarPlay or Android Auto - and lots of online apps and features.